These days, we’ve gotten so used to superheroes crossing over on screens both big and small that we sometimes overlook the red tape that may separate them. 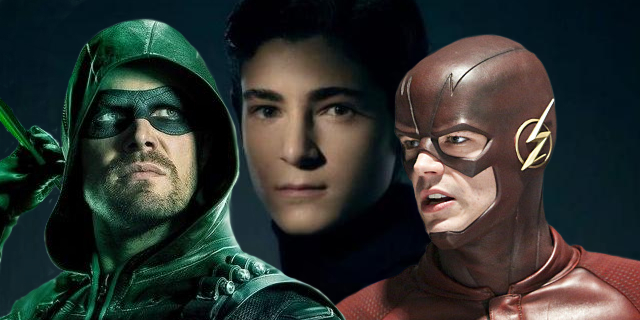 Late last year, we were treated to a four-show crossover involving Supergirl, The Flash, Arrow and DC’s Legends of Tomorrow, but, need we remind you, those all air on The CW. So, aside from the headaches that come with scheduling and budgeting, that was pretty easy to make a reality. Still, there are some that want to see Gotham get a piece of the action, a feat that may be impossible to achieve. Yes, we’re well aware that an inter-network crossover occurred last year between The Flash and Supergirl when the latter was still over at CBS, but it’s important to remember CBS has stake in The CW, therefore that was able to happen. But with Gotham being at Fox, well, we’d advise you to not hold your breath in hope of seeing it take part in a DC TV crossover. As awesome as that sounds, it’ll likely just remain a fantasy unless Fox were to ever drop Gotham and The CW were to pick it up, something many fans have jokingly suggested on social media. So, until such a thing happens, we’ll just have to ponder the possibilities along with the rest of you.